£12 + vat per foot for planing hulls, antifoul paint to fit customers requirements and comes at additional cost. This is a unique workshop which has access from the river Adur at high tide. The unit has a topple table and we can winch planing vessels upto 21ft in length into the workshop. This allows work to be carried out in the dry with no days lost to weather. 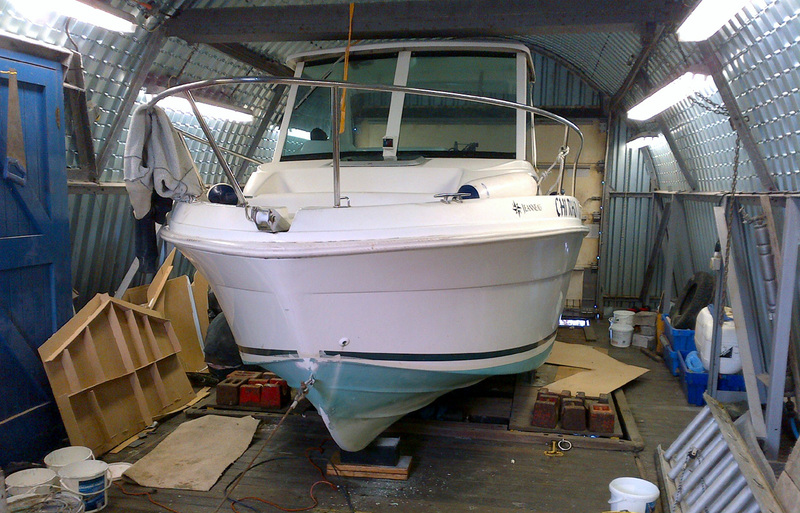 We offer an antifoul service with a quick turn around of 1 day taking into consideration high tide. If you were to also require other works to be carried out (chips and crack repairs) you could have the work completed at the same time. The workshop can also be hired in one week intervals to complete work yourself or by us. Workshop has power and water supply, good lighting in a nice setting with river views.